Qualified service work from certified premium service providers. Our specialists can be contacted around the clock and around the globe and will always find a solution to your problem. 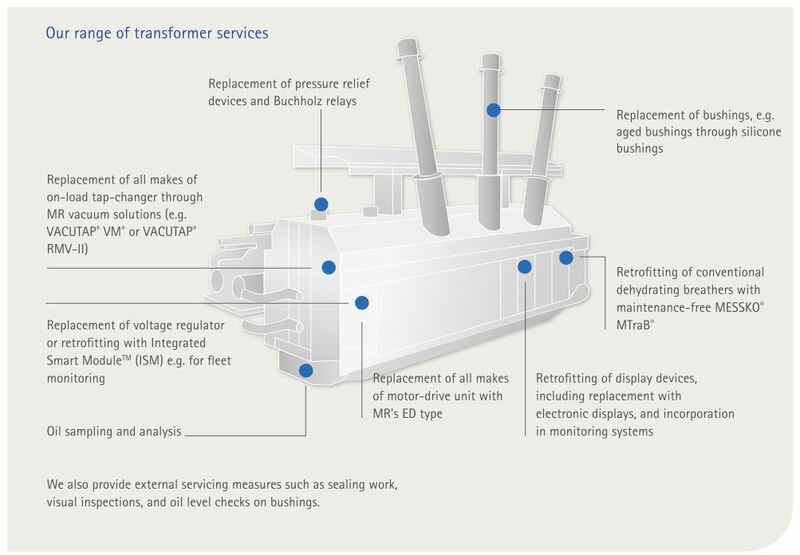 Whether you need on-load tap-changers maintaining, transformer accessories replacing or retrofitting or a complete service on power transformers, including measurements, we can do it all.